This sizzling summer issue showcases our most stunning seasonal shots yet! 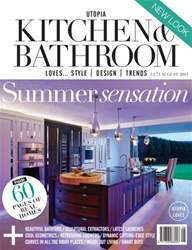 Alongside the very latest kitchen and bathroom product launches, a pick of the most sculptural yet functional extractor hoods and our exclusive real home articles, we take a look at dreamy, holiday-inspired bathrooms and open-plan, airy kitchens that offer spectacular views. Think: inside looking out and keeping hold of that vacation feeling. 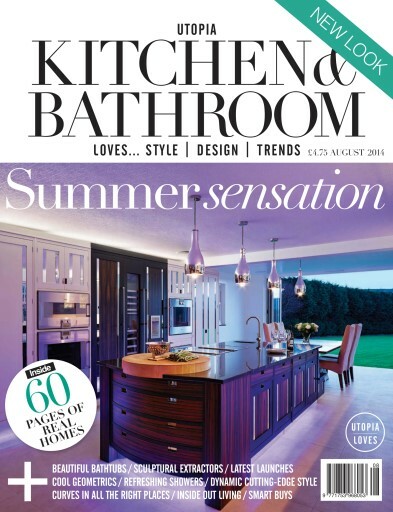 We also take a look at cleverly constructed bathroom curves and genius kitchen geometrics. Don’t forget to keep your eyes peeled for an exclusive interview with an Italian manufacturer that has mastered minimalism, a competition with a whopping 10 possible winners and a sneaky peek at what we’ve got in store for the September issue!